to you, your friends and family! 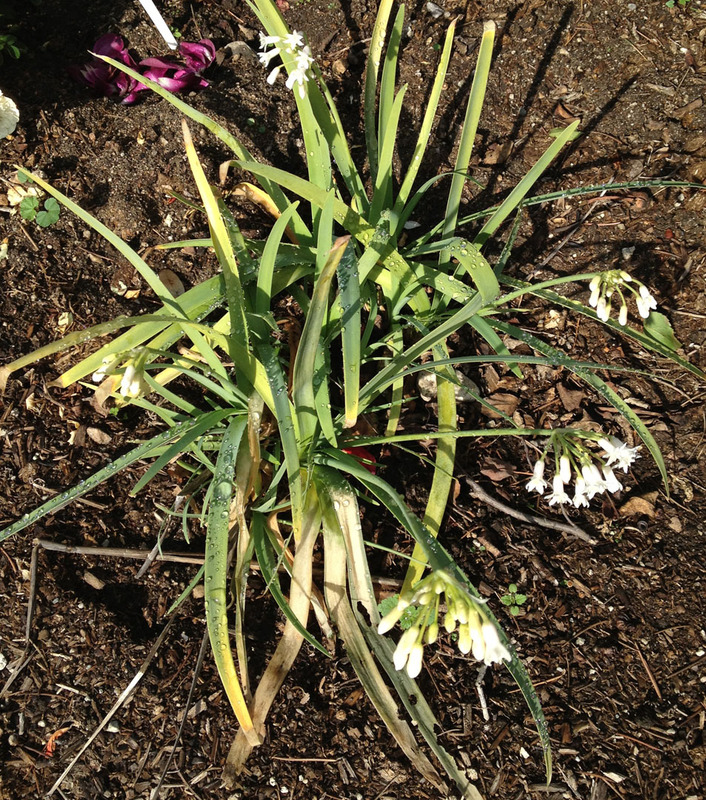 I wanted to share this wonderful plant called Sweet Garlic or Tulbaghia fragrans. Most people know Society Garlic. 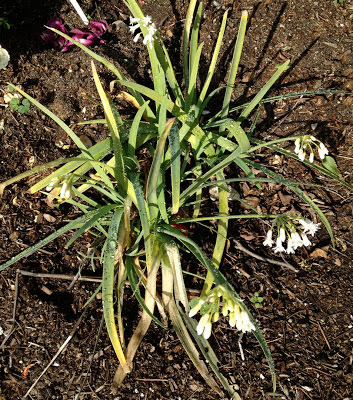 That is Tulbaghia violacea green(yuck) or variegated and is planted often in SoCal because it is easy. I use the variegated one all the time. But that is whole other post This is in the same family but doesn't have that strong garlicky odor and it blooms in winter instead of warm weather. T. fragrans flowers have a wonderfully perfumed odor! 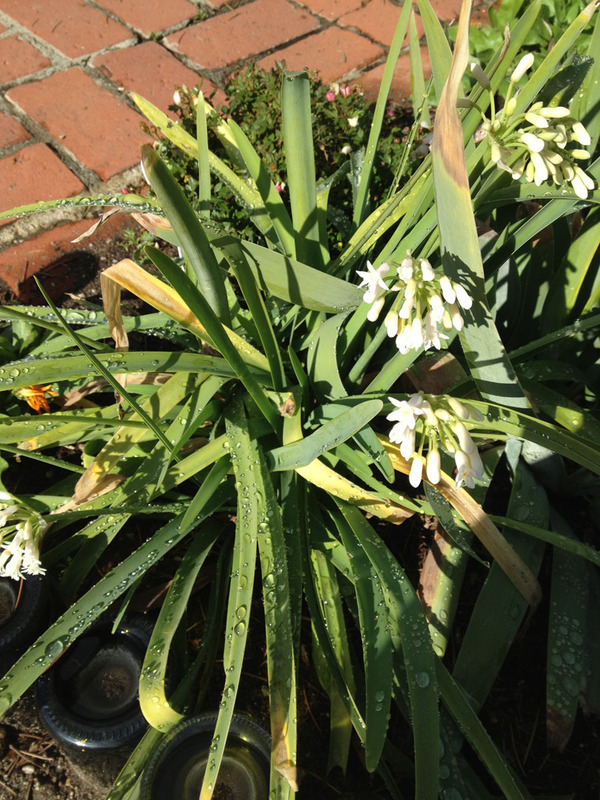 The plant grows 1-2 feet, likes full sun, is a little frost tender and is blooming right now! It is most often found in lavender but also comes in white. I had so many in pots when we moved and didn't know what color they were when I planted them. Most ended up being white. I'll have to find more lavender. We are having family over tonight for Christmas Eve. I didn't have any decent roses for a bouquet so I cut a bunch of Tulbaghia. 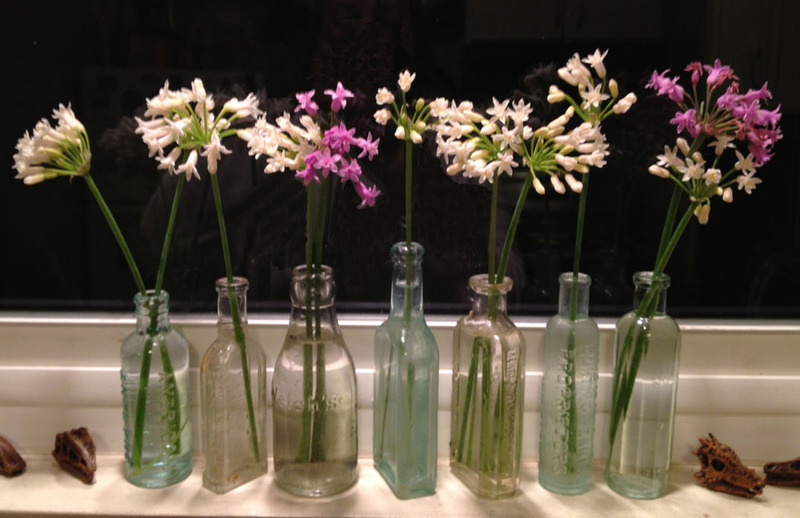 I of course couldn't find just the right vase for 11 stems for my kitchen windowsill. So I got into my little bottle collection and made a multiple vase bouquet thing going on! Try to find some Tulbaghia fragrans in your local better nursery. I bet you'll like it. Thank you for the recommendation and merry xmas.